Nuremberg is a city in the German state of Bavaria, in the administrative region of Middle Franconia. Situated on the Pegnitz river and the Rhine–Main–Danube Canal, it is located about 170 kilometres (110 mi) north of Munich and is Franconia's largest city. The population as of December, 2011, is 510,602. The "European Metropolitan Area Nuremberg" has 3.5 million inhabitants, which makes it Germany's fourteenth largest city. Several old villages now belong to the city, for example Grossgründlach, Kraftshof, Thon, and Neunhof in the north-west; Ziegelstein in the north-east, Altenfurt and Fischbach in the south-east; and Katzwang, Kornburg in the south. Langwasser is a modern suburb. 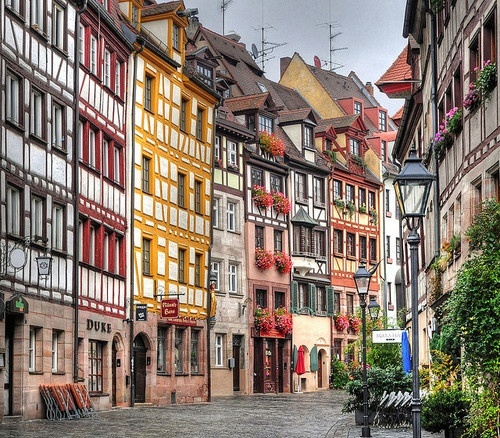 Nuremberg has been a popular destination for immigrants. 37% of the residents have an immigrant background.